With amazing places to visit in Indonesia spread across more than 17,000 islands, you'll never run out of opportunities for adventure and cultural interaction. Indonesia is the world's fourth most populous country; the extreme geographical diversity means plenty of beaches, jungles, and volcanoes are waiting to be enjoyed. Each region is unique and has something to offer intrepid travelers. 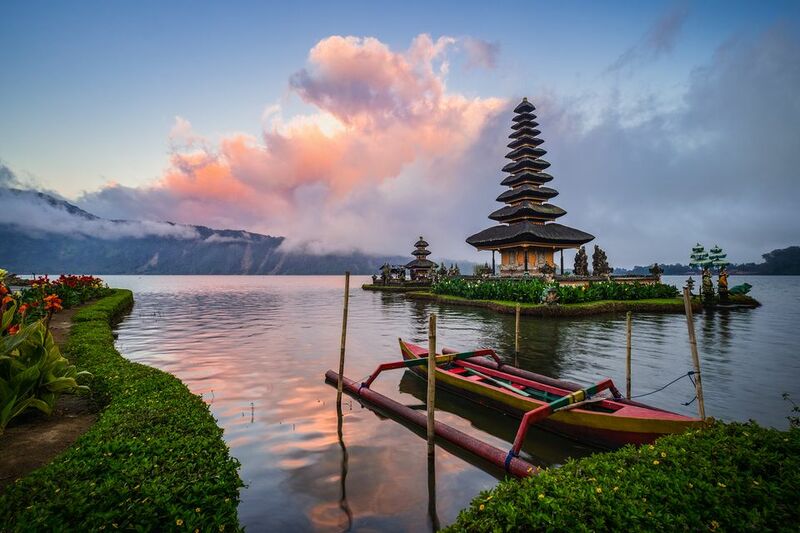 While a bulk of visitors only see Bali, one of the top destinations in Asia, Indonesia has plenty more to offer away from the beaten path. Moving across Indonesia's archipelago takes time. You're better off focusing on one or two regions to explore rather than rushing around. Use this summary of the main places to visit in Indonesia to better decide where to go first. Unfortunately, word has spread and you're going to have to share Bali's paradise. Unlike the rest of Indonesia which is primarily Islamic, Bali is predominantly Hindu, lending the island a completely different vibe. 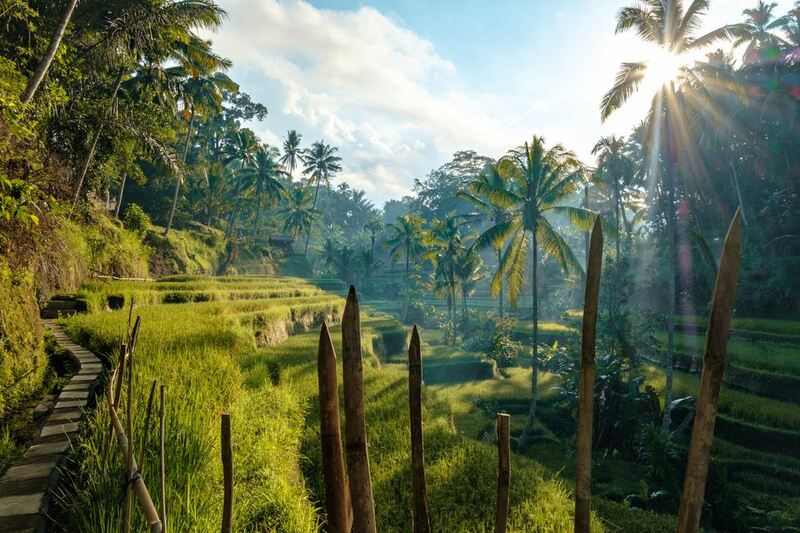 Scores of artists, writers, and people interested in holistic healing have settled in Bali because of the unique, health-boosting atmosphere. Don't assume that Bali is all resort life and beaches. The Kintamani region in the interior is lush and gorgeous, while Ubud is famous as the cultural center. Sumatra is the largest island in Indonesia and the sixth-largest in the world. The massive slice of land is split by the equator on the western edge of Indonesia and is a dream come true for adventurous travelers or people interested in rainforests and endangered species. Sumatra is one of only two places left in the world where you can see wild orangutans (Borneo is the other). Most tourism in Sumatra is centered around the northern part of the island where Lake Toba, the largest volcanic lake in the world, dominates the area. A new island, Pulau Samosir, has risen up in the center of the lake and is home to Batak, Karo, and other indigenous tribes that once practiced head-hunting and ritualistic cannibalism! Mount Rinjani, an active volcano, dominates the landscape and towers to 12,224 feet. The volcano can be climbed in an overnight trip; a guide and permit are required. Lombok's biggest attraction is the chance to visit one or all three of the beautiful Gili Islands just off the coast. Gili Trawangan, or simply just Gili T, is the largest and most popular with backpackers. Parties rage throughout the week and drugs appear openly on menu boards. Gili Air, the middle-sized island, is a nice compromise with lots of beauty but not too much seclusion. Finally, Gili Meno is the smallest and most isolated of the three islands. Lots of couples and families head there for the quiet. Java, the oblong-shaped mass stretching between Sumatra and Bali, is the most populous island in the world; more than 60 percent of Indonesia's massive population calls the area home. Java is busy and crowded in places, but bustling with real Indonesian culture, and yes, Java is the epicenter for the famous coffee of the same name. When Krakatoa—a volcano off the west coast—erupted catastrophically in 1883, the blast produced the loudest sound in modern history and was heard 3,000 miles away. Gunung Bromo, an active volcano in Java, is the most visited in Indonesia. Travelers freeze at the top of the massive caldera while waiting for a spectacular sunrise. A mouthful to say, East Nusa Tenggara includes Flores, Komodo, Timor, and the chain of islands stretching east of Lombok. Flores is a place for rugged travelers who aren't afraid to get a little dirty. One bumpy road stretches throughout the chain with plenty of opportunities for villages, volcanoes, and undeveloped beaches. Flores is predominantly Roman Catholic, so again, the vibe here is different than in the rest of Indonesia. Komodo and Rinca Island in the Komodo National Park, are famous for the endangered Komodo dragons. People willing to cross some of the most dangerous currents in the world to one of the two islands are rewarded with both adventure and a chance to see man-eating lizards in the wild. The diving around Komodo is some of the most challenging and rewarding in the world. Moving through the interior of Sulawesi takes time and isn't for the faint of heart. Those that put in the sweat and effort are rewarded with adventure, indigenous culture, and some of the most beautiful islands in the world. The Togean Islands and Kadidiri, located in the center of Sulawesi's flailing arms, are hard to reach but offer incredible diving opportunities. Wild camping is available and a few all-inclusive dive retreats draw in a handful of intrepid travelers. The water visibility is phenomenal; plenty of sharks and even saltwater crocodiles frequent the area. Visitors head to Tana Toraja in the south of Sulawesi to experience indigenous culture and to see bizarre funeral rituals where bodies of the deceased are often kept for years and numerous buffalo are slaughtered in sacrifice.